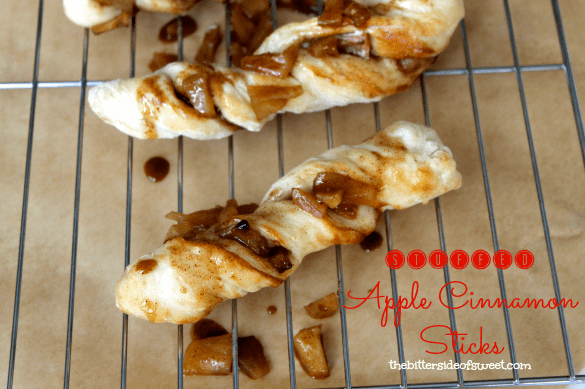 My obsession with pizza dough continues with these Stuffed Apple Cinnamon Sticks . Sticks that are filled with apples that have been cooked in butter, cinnamon and brown sugar. For all of my apple fans this one is for you! #teamapple If you remember a couple of weeks ago I made some simple apple compote. Well since then I have been adding it to every thing. One thing I did want to do was combined it with pizza dough somehow. I know I am obsessed. We do a lot of pizza so I need to mix up some how! Keeps the family on their toes! Well I didn’t want to do a traditional apple pizza, so I tried to figure out a way to make it a little different. To be sure about how I wanted to present these to you I made these twice. One time without the apple compote stuffed inside and once with it stuffed inside. As you can see, you know which one was the winner, right? I decided to go with the long version on these when it came to the yeast. I used active dry yeast and allowed my dough to rise for 4 hours or more to make sure I got a really nice puffy dough. It may take a little extra effort but it is so worth it to actually stuff the compote right inside your sticks. Cook them up and you MUST add the compote on top as well. This just takes these over the edge and makes a fabulous dessert. ENJOY! 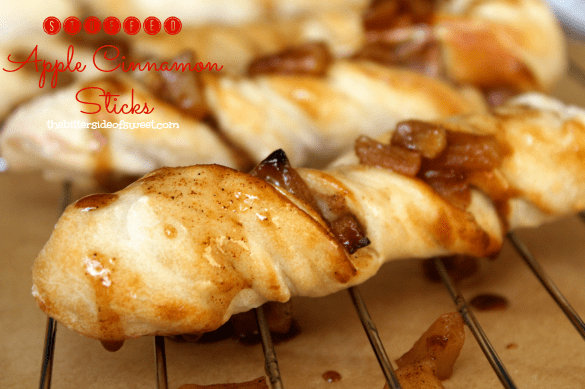 Apple cinnamon sticks made from pizza dough and stuffed with apple compote! On medium heat, using a medium size pot melt your butter. Add brown sugar and stir till the sugar has dissolved. Let the mixture simmer for 15 minutes or until apples are soft. Set aside and allow to cool while you work on your dough. In mixing bowl add yeast and water. Using whisk mix them together. Rest for 5 minutes. Using your dough hook add 2 cups flour and mix on low. Add oil and salt and continue to mix. Add the remaining flour a ½ cup at a time till all is incorporated. Dust counter top with flour and dump ball out of the mixing bowl. With flour covered hands work the dough till you have a nice smooth ball. Spray large bowl with cooking spray and add dough. Cover and allow to rise for 4 hours. Preheat oven to 400 F. Prepare two 16" round pizza pans with parchment paper. Dust counter top with flour and with one half of your pizza ball roll out into a rectangle 1" thick. Short end running horizontally, long side running vertical. Using pizza cutter, divide rectangle into 7 even sticks by cutting horizontally. Fold each stick over from left side to right side. With each stick press all sides down so there are no openings. Starting with your first stick, pick up and twist it a few times to get a nice spiral shape, careful not to lose any filling. Place on pizza pan. Repeat with the remaining sticks. With second half of dough, repeat steps. Spoon apple compote filling to the top of each one and serve warm. ENJOY! Gosh this looks so good! I’ve never made any pizza dough before, but I think that’s all got to change after seeing this. Thanks Graham! It is definitely worth trying!! Rachel @the dessert chronicles recently posted…Sugar Cookies with Royal Icing- Happy Halloween! I would say definitely perfect! Thanks Rachel! Thanks for linking to my recipe!!! That’s so nice of you! P.s. OMG these cinnamon sticks!!!! Amazing! Thanks Ashley! Love your recipe! Holy heck these look awesome! PINNED. LOL! Thanks Aimee! They were fun to make!! OH HELLO. These look so yummy, and I give you mega respect for making your own dough. Only makes me love these apple-icious treats all the more! You are too sweet Erin!! Thanks so much! I make dough once a week and now can do it blindfolded if I had to so it was super quick for me! Nancy, that is so smart and creative and delicious and I want it! 😀 Thanks for the link love, my friend! I would say, do it!! 🙂 Thanks Tina! These look delicious! 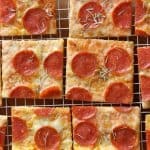 What a creative way to use pizza dough. I want one for breakfast right now! Thanks so much Cate! I love experimenting with pizza dough! Ok, this looks like the best bread stick ever! Just pass me some homemade caramel sauce and I’d be good to go with this sticks! YUM! Great recipe girl, so fun! Thanks so much Krista!! That caramel sauce sounds divine!! Me! Me! Me! I’m an apple fan!! These look SO GOOD Nancy! Pinned! Thanks Trish, I keep trying to figure out what else I can stuff inside!! Oh my gosh, these are so neat! I love this recipe! This look awesome! 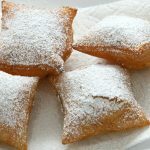 I’m going to have to add these to my list of holiday treats I need to try this year. Thanks! Oh that’s exciting!! Thanks Laura!! Wow, these look incredible. I love how they are sticks, they are the perfect serving size! Yes they are Ashley! Thanks! Yum! Now I’m craving these! Pinned! LOL!! Yummy indeed!! Thanks Amy!! These look like a great holiday breakfast idea! Thanks for sharing at Wake Up Wednesdays. I’ve pinned these. Thanks for stopping by Teresa!! I need to make up a batch of these and call them breakfast! Thanks for linking up with What’s Cookin’ Wednesday! Ohhhhh great idea BREAKFAST!! Thanks Karly!! These cinnamon sticks have definitely got my name all over them. Guess what I’m making this weekend….. I hope you enjoy them Janeen! thanks! 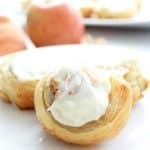 These look fabulous and something different than the usual apple fritter type sweet roll. Love using pizza dough! I’m not sure what step #17 is referring to with the 1″ rectangle but your lovely photos make the process clear. Thank you! You are right Mary, that should say roll the dough out into a rectangle that is 1″ thick! Thanks! These are totally calling my name. I have to make them! You really do! Thanks Christie! Oh goodness these look amazing, Nancy! I can see why you are so obsessed. These look amazing. Getting ready for apple season for sure!! Thanks for sharing on the What’s for Dinner link up and don’t forget to leave a comment at the party – Next week’s features that also leave a comment get pinned and tweeted! Those look SO good! 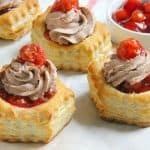 Thank you for sharing them on The Lazy Gastronome’s linky party. Pinning so I can try them when the fall apples start coming into the stores. These lookk super delicious! Think I could be super lazy and just use canned apple pie filling? That is a thing right? Yum! I love apple desserts! Those look AMAZING! I can’t wait to pick apples and start baking this fall. Pinned. All of these Fall recipes are making me hungry! This looks so good, I love apples. Thanks for joining the Family Joy Link Party! 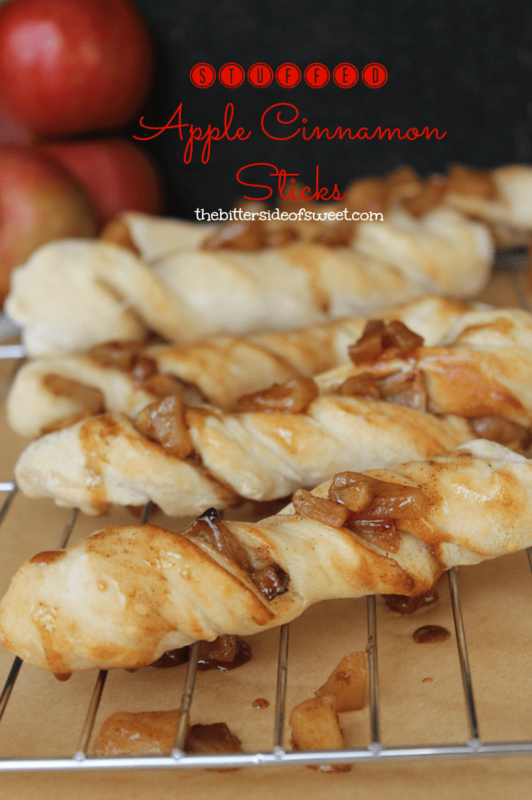 Love these apple cinnamon sticks. So great for breakfast or afternoon snack. Edye recently posted…Scriptures For When You’re Anxious. I’m going to try using bought pizza dough. What a fun treat! I would be in heaven with a couple of these and some yummy cider! Thanks so much for sharing at Throwback Thursday!